Market have corrected from 21000 to 15000, so too are the Net Asset Values or NAVs of the Mutual funds. Is a fund with a low NAV a better investment option than a fund with a higher NAV? Since you can buy more units when the NAV is low, isn't it cheaper? 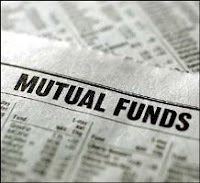 Should mutual fund schemes with a higher NAV be avoided? These are questions, which trouble many first-time investors in mutual funds. The answer to these questions is that it is irrelevant how high or low the NAV of a fund is. The amount of your investment remaining unchanged, between two funds with identical portfolios, a low NAV would mean a higher number of units held and consequently a high NAV would mean lower number of units held. But under both circumstances, the product of the number of units and the applicable NAV, which is the value of your investment, would be identical. Thus it is the stocks in a portfolio that determine returns from a fund, the value of the NAV being immaterial. When one sells those units, the return will be the same as that of another scheme, which has performed similarly. The 'cost' of a scheme in terms of its NAV has nothing to do with returns. What you want to buy in a scheme is its performance. The only instance where a higher NAV may adversely affect you is where a dividend has to be received. This happens because a scheme with a higher NAV will result in a fewer number of units and as dividends are paid out on face value, higher NAV will result in lower absolute dividends due to the smaller number of units. But even here, total returns will remain the same. So from whichever angle you see it, the NAV makes no difference to returns. Mutual fund schemes have to be judged on their performance. And the simplest way to do this is to compare returns over similar periods.